Sign up for Meridian’s Free Newsletter, please CLICK HERE. The following is excerpted from the Deseret News. To read the full article, CLICK HERE. Photo: BYU. 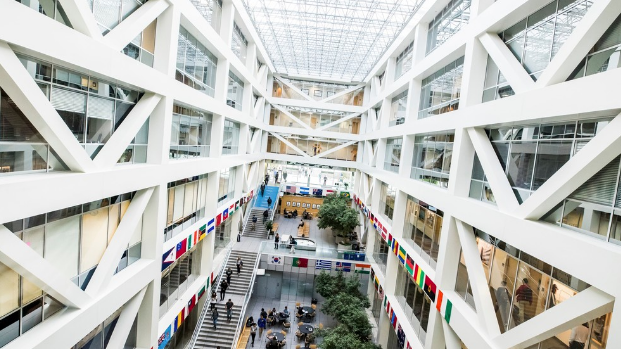 A Brigham Young University student was hospitalized in critical condition Monday after falling from the fourth floor of an atrium on campus, police said. Officers were gathering information about how and why she fell shortly after 9 a.m. from the Tanner Building, part of the Marriott School of Management. Several people witnessed the fall, said BYU Police Lt. Steven Messick. The woman, whose name and age have not been released, was transported to Utah Valley Hospital, Messick said. This morning a tragic incident occurred in the Tanner Building involving one of our students. Help is available to our campus community. Counselors are available at 750 Tanner Building and at the Counseling Center at 1500 Wilkinson Student Center.